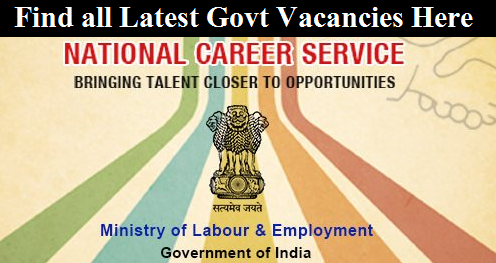 The Department of Personnel and Training vide O.M No.39020/09/2011-Estt(B) dated 02.11.2016 has decided that in addition to existing procedure for advertisement of Government vacancies it shall now be mandatory to be placed on National Career Service Portal. (b) Till March 2017, there were 3.9 crore Job- Seekers and 14.87 lakh establishments on the NCS Portal. Around 540 Job fairs have been organised under NCS during 2016-17 though the career centres. (c) The list of organisations/ institutions having Memorandum of Understanding with NCS is at Annex-A. (d) The NCS Project includes establishment of 100 Model Career Centres in Employment Exchanges and institution of repute to provide variety of employment related services. The state/ UT wise details of Model Career Centres is at Annex- B.